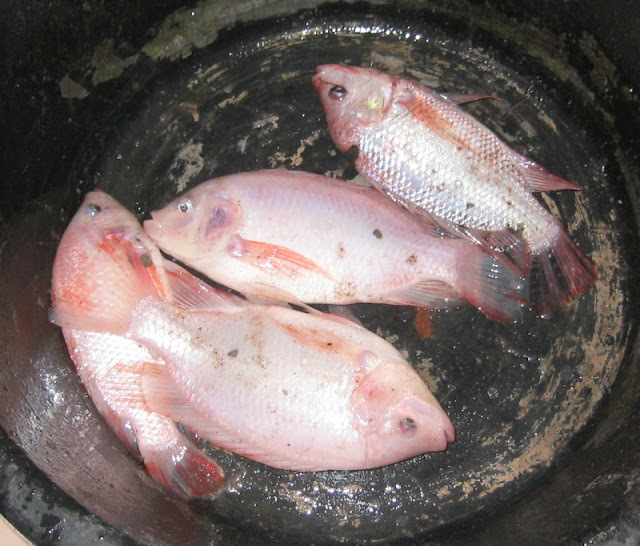 Affnan's Aquaponics: Tilapia - Deep fried, BBQ or Steam ? Four Tilapia for the dinner table today, these are 6 months old females just caught about 10 minutes ago. Average about palm size and there are fingerling in the tank but I try not to scoop them up which is very difficult to do. 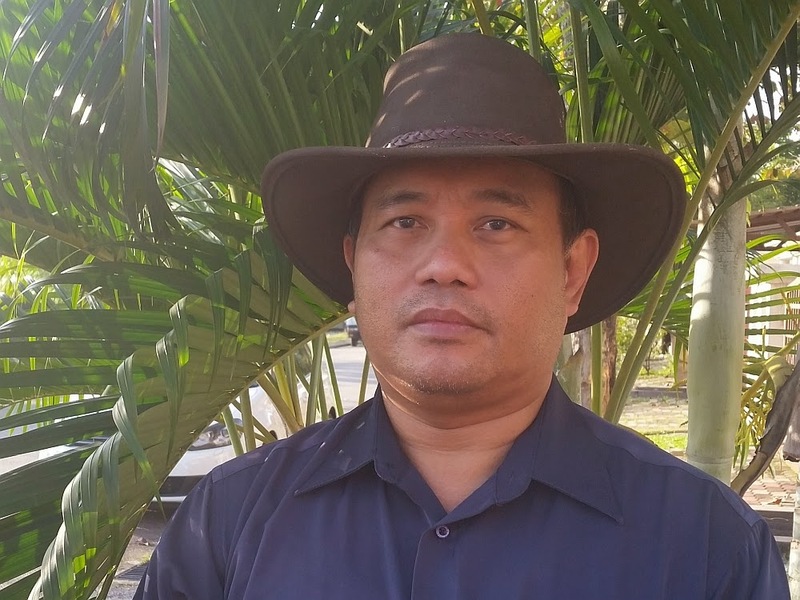 The male Tilapia grow faster. There are lots more in the tank, these fish jump the net when I tries to scoop them up. 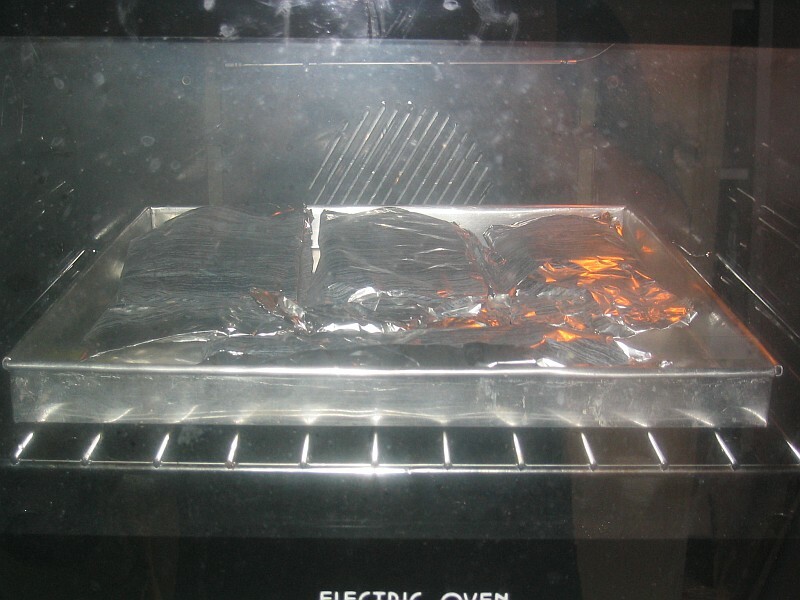 The wife decided to.. put it in the oven for a slow bake.. in tin foil. These look delicious, Affnan. My vote is for steaming. Get the most of the flavor of super fresh fish!